In this tour the Mahler Chamber Orchestra reunites with star conductor Gustavo Dudamel for performances in favourite European venues. The programmes for this tour feature beautiful examples from the symphonic repertoire dating from the late classical to late romantic. Both the Mahler Chamber Orchestra and Gustavo Dudamel were mentored in their ‘youths’ by founding MCO mentor Claudio Abbado; the Mahler Chamber Orchestra with its founding twenty-one years ago, and Gustavo Dudamel in his early work in Venezuela. The MCO last worked with Gustavo Dudamel at the Rencontres Musicales d’Evian in July 2017, and a further collaboration has been eagerly anticipated. This tour includes concerts in Lisbon, Paris, Cologne, Frankfurt, Luxembourg, Barcelona and Madrid. 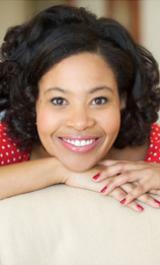 Star soprano Golda Schultz joins the orchestra in performances of Mahler’s Fourth Symphony in G major. Parallel to this tour the Mahler Chamber Orchestra will continue its award-winning Feel the Music education and outreach work with hearing-impaired school children. 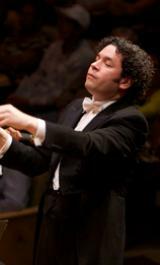 Gustavo Dudamel, himself a lifelong advocate musical education and social interaction with the arts, will participate in the programme.